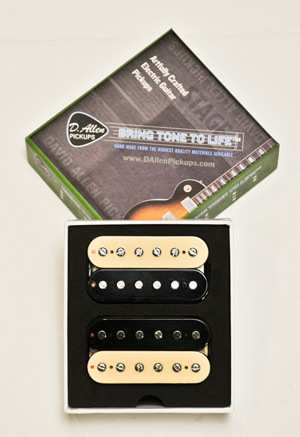 Johnny Blades Set, Guitar pickups kit from D. Allen Pickups. Nashville guitarist Johnny Hiland and D. Allen Pickups announce the first Johnny Hiland signature pickup line. The first two sets will are the JohnnyBlades, a dual-blade single-coil set with "chime and quack," and the JohnnyBuckers, a humbucker set voiced for blues, jazz, and rock that the company says is "clean and spanky enough to chicken-pick on." Lotus Yellow Delay Lotus Pedal Designs introduces their Yellow delay pedal to the market. 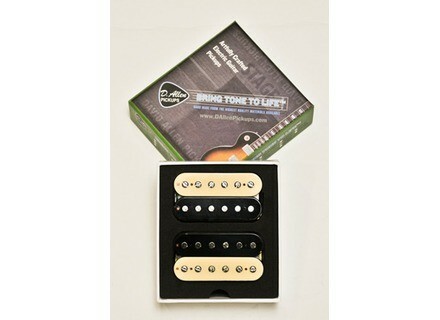 Recording King RD-10 The Recording King RD-10 is a solid guitar with a street price of $349. C.F. Martin & Co Expands SP Lifespan Series C.F. Martin & Co.has announced that it is expanding its successful Martin SP Lifespan line of acoustic strings.